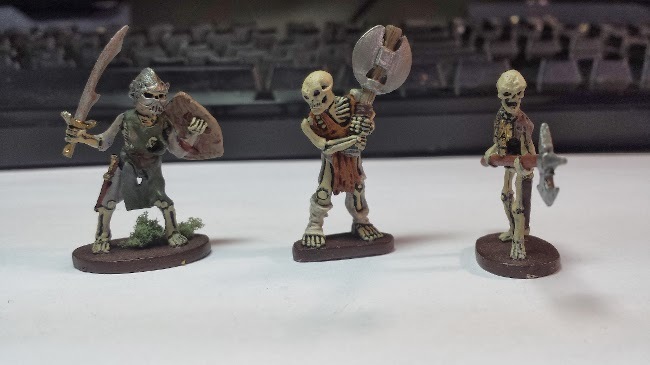 Just a few Skeletons I painted for our heroes to fight. They fought a couple of them in the Impossible Campaign already. Little do they know how many lurk in the woods.